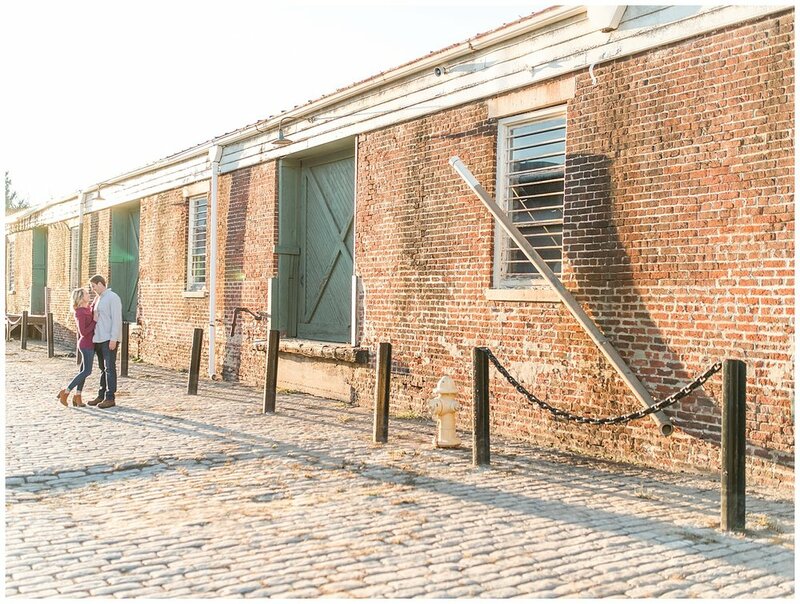 Danielle and Taylor had a perfect day for their engagement session at Historic Old Town Petersburg and the Violet Bank Museum in Colonial Heights! These two actually first dated when they were 17 years old. And though she went to Randolph-Macon College and he went to Old Dominion University, the two kept in touch and the rest is history! When Taylor decided to propose, he enlisted help from friends and family. His mother owns Over The Top Flower Shop so she did the flowers and created a beautiful flower arch. Then Taylor took Danielle to a friend’s vineyard where he led her out to a perfect picnic scene styled better than most on the Bachelor!!! I just loved getting to know this super sweet couple during their engagement session. These two really make one another laugh, and I’m excited to photograph their joy-filled wedding day at Ashton Creek Vineyard this spring! 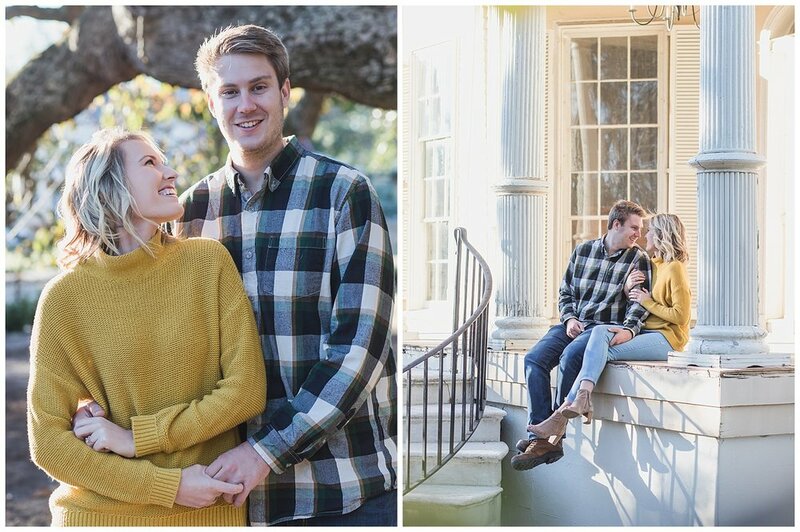 Here are a few of my favorite photos from their engagement session in Historic Petersburg!